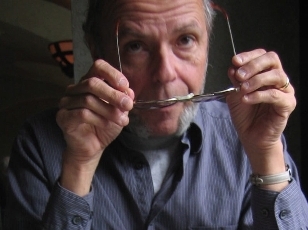 William McCarthy (Professor Emeritus, Iowa State University) is a freelance writer, editor, and literary researcher. He is the author of Anna Letitia Barbauld, Voice of the Enlightenment (Johns Hopkins University Press, 2008) and Hester Thrale Piozzi: Portrait of a Literary Woman (University of North Carolina Press, 1985), and the co-editor of Selected Poetry and Prose of Anna Letitia Barbauld (with Elizabeth Kraft, Broadview Press, 2001), The Poems of Anna Letitia Barbauld (with Elizabeth Kraft, University of Georgia Press, 1994), and The Meridian Anthology of Early Women Writers from Aphra Behn to Maria Edgeworth (with Katharine M. Rogers, New American Library, 1987). He has published in Studies in Bibliography, The Age of Johnson, and other journals. He is currently co-editing Volume Five of the Cambridge Edition of the Correspondence of Samuel Richardson. For a complete list of publications, click on Publications.